Most users don’t know the reasons why they would need to use Backconnect proxies. However, the main reason of using a Backconnect proxy is very easy. It allows you to access the web in an anonymous way, without worrying that your IP address will be blocked. Backconnect proxies use technology that can offer users thousands of private IP addresses, giving them the possibility to navigate the internet completely anonymous. Every account provides automatic IP rotation, allowing the user to generate at one time an increased number of search requests. Every application sent out will come from unique IP address. Because users typically receive only a single IP address or proxy to use, Backconnect proxies are different. The proxy server assigns an IP to the request automatically when a user connects to the Backconnect proxy. The user request is tunneled through a large database of available Backconnect proxies. Some Backconnect proxy servers only change internet request IP address every 5 to 10 minutes, while others assign a new IP address to every single internet request routed through them. An anonymous proxy assists users to protect their browsing habits, location and working preferences. Rather than their true IP address, SEO will observe their request as coming from various locations. This way, the chances of having your IP address being blocked greatly decrease. Especially if you are prevented from accessing a certain website, Backconnect proxies will provide you the benefit of accessing any site. Backconnect proxies have typically more widespread locations. Compared to traditional proxies, Backconnect proxies are also able to provide far more available IP addresses. They can, however, handle every type of software and internet traffic like traditional proxies. Because they run on residential IP addresses, Backconnect proxies usually get banned less often. Because there is just one IP, they are also easier to deal with when making a large number of connections. By using Backconnect proxies for web scraping campaigns you can get quick results by using automated software to extract data from the search engine. All data will be unique and gathered fast. You also have the advantage of keeping your privacy by having your IP address cycled by the Backconnect proxy. 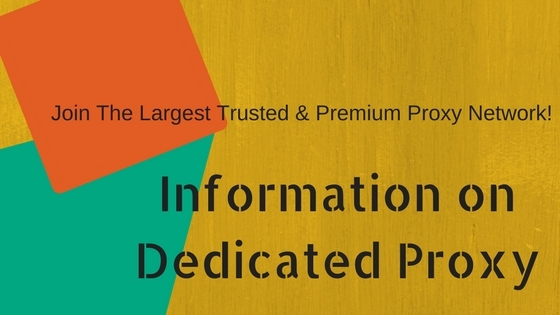 All your personal details and sensitive data will be kept secure. 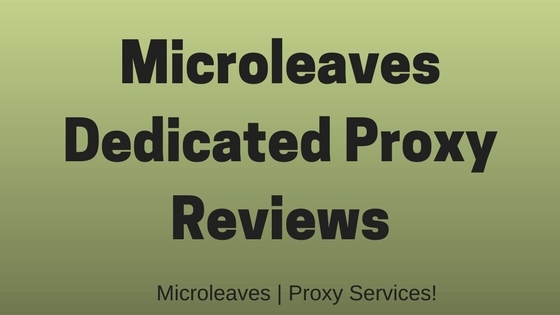 Microleaves Backconnect IP rotation proxies work well with most of the SEO tools, including Senuke, Xrumer, GSA, SER, and others. Proxies are intermediaries used by either companies or individuals when accessing the internet. A proxy is acting as a buffer between the users and the internet. Backconnect proxies are able of hiding user’s IP address, allowing for anonymous web surfing. Shared proxies are inexpensive but they always serve many users. They can be useful to those people who rarely use proxies. Some public or shared proxies can be helpful with some SEO software that requires harvesting data from the web. However, using a shared proxy server is not always reliable. They do not guarantee full security. Because they are used simultaneously by many people, they can also over-burden the transfer speed. Private or dedicated proxies offer a high level of anonymity as they have a dedicated IP address. They allow you to successively avoid being blocked by a site or a search engine. They protect your privacy and hide your IP and MAC address. Private proxies typically provide a fully anonymous web surfing experience. By using a dedicated private proxy (Functions of Dedicated Proxies), you can bypass internet restrictions and unblock various applications. For example, you can unblock Twitter, YouTube, Facebook, and others websites with access restricted by your IT administrator. Backconnect premium private proxies are secure, fast, and compatible with the vast majority of websites. They use various subnets assigned to your account in order to meet your privacy needs. Backconnect proxies also support the HTTPS and HTTP protocol. 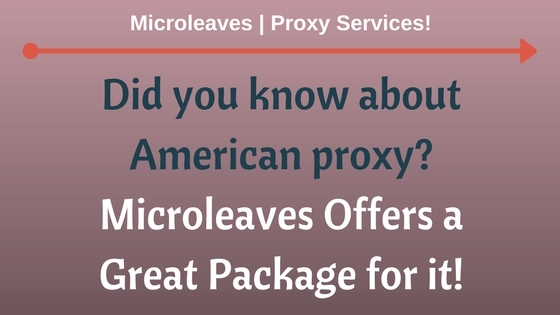 Microleaves offers several proxy servers types. They include at the same time SOCKS 4/5 and HTTP/S, which are currently the two main proxy server types. SOCKS and HTTP/S refer to the section of network protocol used. HTTP is the standard, while SOCKS is less famous and not supported by most software. However, because it can send through a proxy server a huge amount of traffic, SOCKS is stronger than HTTP. 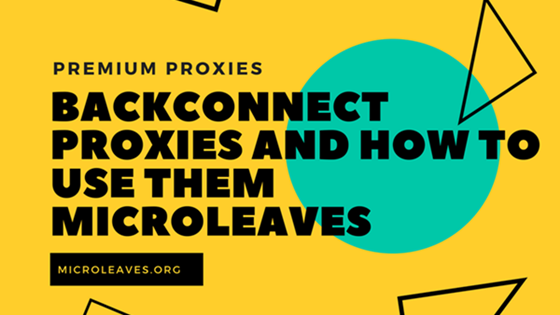 Microleaves Backconnect proxies provide rotating residential IP addresses that usually change your IP within ten minutes. Having over 26 million of residential IPs, Backconnect is, in fact, the biggest p2p proxy network. Most people do not know what is the difference between direct proxy and Backconnect, because they typically do not see any significant difference as end users. However, a Backconnect proxy works by having access to a gateway server not containing any external IPs. Users have to connect to a single IP address with different ports. The connection goes then to multiple proxies containing different IP addresses. Especially when using automatic rotation proxies, Microleaves Backconnect proxies do not limit the bandwidth in user connections. That means that is no limitation on the connections or threads used simultaneously with Backconnect proxies when using SEO tools. Users also have the possibility to set a certain number of threads according to their CPU and RAM system resources. The actual number of threads that can be set depends on the threading capacity of the Backconnect proxy server and user’s network. 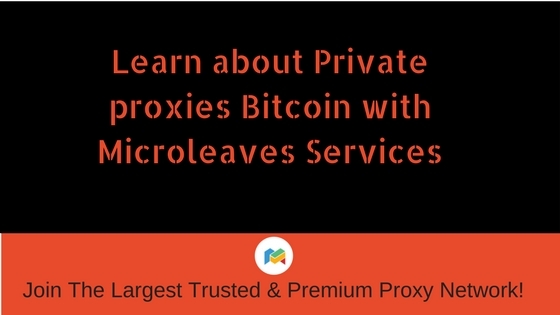 If you decide to use Microleaves Backconnect proxies, the first step is to sign up to the service and set up your account. Once done, you will be provided with different unique ports from the Microleaves server. When you try to run your proxies, the port connects automatically and offers you complete access to a large IPs database. You will have the possibility to run various search engines without worries about being blocked. 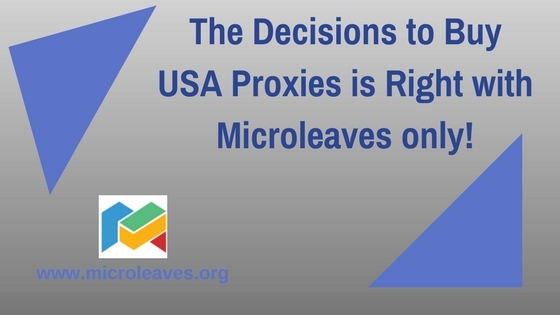 The Microleaves Backconnect proxies come from different locations and countries around the world, such as Russia, U.K., U.S. and many others. This ensures an increased level of anonymity.